Will Self Driving Cars Mean the End for Motorcycling? For techies out there, it may seem evident that the self-driving car promises unparalleled levels of safety for the 1.2B car commuters out there. We are in dire need of a solution to reduce the > one million deaths that occur on public roads every year. Over half the employed population of three billion people get from A to B every day on just two wheels, making motorcycling the most popular form of transportation worldwide. This may come as a bit of a surprise unless you’ve visited any of the one hundred largest metropolises in the world. How safe (or unsafe) is motorcycling really? This means motorcycling claims 36X more lives than driving, making it the most dangerous form of transportation worldwide. And with greater than 1.5 billion people who depend on motorcycles to get to work every day, it is a necessary but insufficient means of transportation. What’s really staggering is just how wide the gap in safety technology is between cars and motorcycles. Remember the joy of driving through rolling hills at sunset with the top rolled down? Few do. Today’s all-powerful millennial consumer didn’t grow up in such romantic times. Millennials, who now represent ¼ of the population in the western world, and as much as half in Asia, grew up with helicopter parents in hyper-protective cars chock full of advanced safety features. These are rolling fortresses with in-aisle entertainment systems and built-in headphones for that numbing commute to school they had to do every day. And such a cocooned upbringing doesn’t exactly translate to fanaticism for the open road. 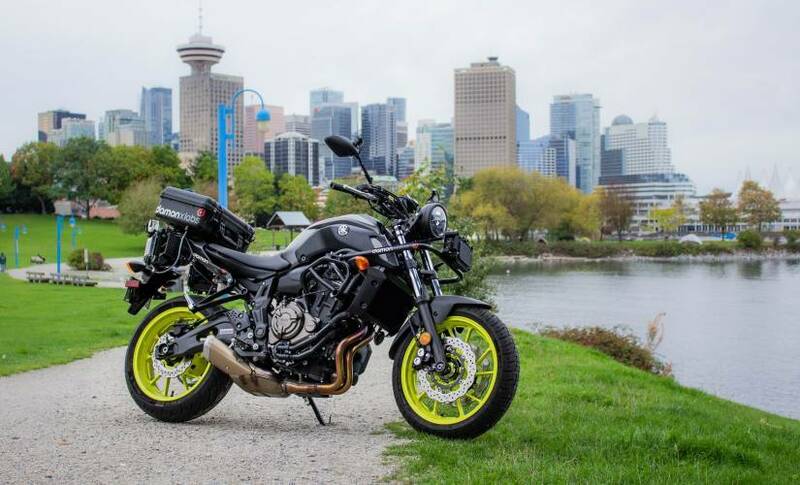 With standard (ho hum) things like ABS being about the only technology feature you can easily find, Millennials need for technology just isn’t represented in the motorcycle category. Do cars need blind spot detection, collision avoidance and the like? If the answer is yes, then we really need to start mapping out far more powerful safety features for a mode of transportation that is far more common and 36 times deadlier. Thankfully, efforts are now underway to close the gap between motorcycle and automotive safety. With BMW’s self-driving motorcycle, Skully’s smart helmet, and in collaboration with Yamaha, Damon’s 360º accident prediction system we are starting to see a near-term future where motorcycling is going to be exponentially safer, smarter and easier than it is today. In fact, Damon is working on an entirely new motorcycling experience. One that augments a rider’s situational awareness tailored to the unique circumstances motorcyclists all too frequently find themselves in. Damon sees a future where everyday motorcycles learn from each other, receiving over the air updates to not just see but even predict accidents before they happen. Longer term, “Damonized” motorcycles will be able to fully avoid accidents, for those times that riders aren’t able to react fast enough. *Nobody really wants a two-wheel motorcycle to drive itself. The challenge the industry faces is an interesting one: While drivers may be willing to give up control behind the wheel, it’s harder to imagine motorcycle riders doing the same. Not only because a two-wheel vehicle may be harder to make autonomous, but because motorcycling is flat out fun. Unlike cars, commuting on a motorcycle is the opposite of stressful. Long gone are the romantic days of car ownership. What once was the American dream of freedom on open roads that swept across the world has devolved into the daily grind to get to work that everybody dreads. By contrast, even in the densest cities of the world where riding a motorcycle is the norm, millions of riders frequently get together for group rides with friends who share the same passion for riding. The sport and thrill of winding roads that have long since left the automotive world, still drive the design of motorcycles today. Why? Cars are primarily designed to move families, whereas motorcycles are primarily intended to move just you. And that makes it a sport. Yet here’s the irony in all this: On any given day, you can look at traffic and see four out of five cars with just one occupant. Why is that? At less than 500 years since modernization, North America is a very young place. With 9.2 million square miles to traverse, it’s huge – and for the most part, very unpopulated. The US population density averages 92.2 people per square mile and peaks out at only 1,205 people per square mile (thanks New Jersey!). Compare this to the 37 ancient mega cities each with 10-40 million people. Densities in these cities can exceed 72,000 people per square mile; with windy, narrow streets that have been traveled since before the horse was invented and you start to see why the world buys 160 million motorcycles a year. Billions of people need powered, personal transportation devices that are not much wider than one’s shoulders. As you’ve probably concluded, riding is here to stay, and we have the world’s most exciting motorcycle brands to thank for that. Now let’s help them keep pace with the auto industry and make transportation a lot safer for the rest of the world.